The co-operation project between the magazine Fit for Fun and T-Fitness stands for the durable and innovative development of fitness products. The collectively developed fitness trampoline stands strong next to established branded trampolines. Training on a fitness trampolin is very effective and also fun! You can burn up to 25% percent more calories through Jumping Fitness training as compared to working out on the ground. Improve the efficiency of your conditional training and at the same time reduce the stress on your joints. 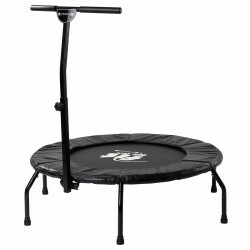 The jumping mat of this trampoline is fastened with highly loadable elastic rings. More cells are then activated through this elasticity, burning fat is stimulated and the cardiovascular system is strengthened. Fit For Fun Fitness Trampoline Holding Rod In stock! 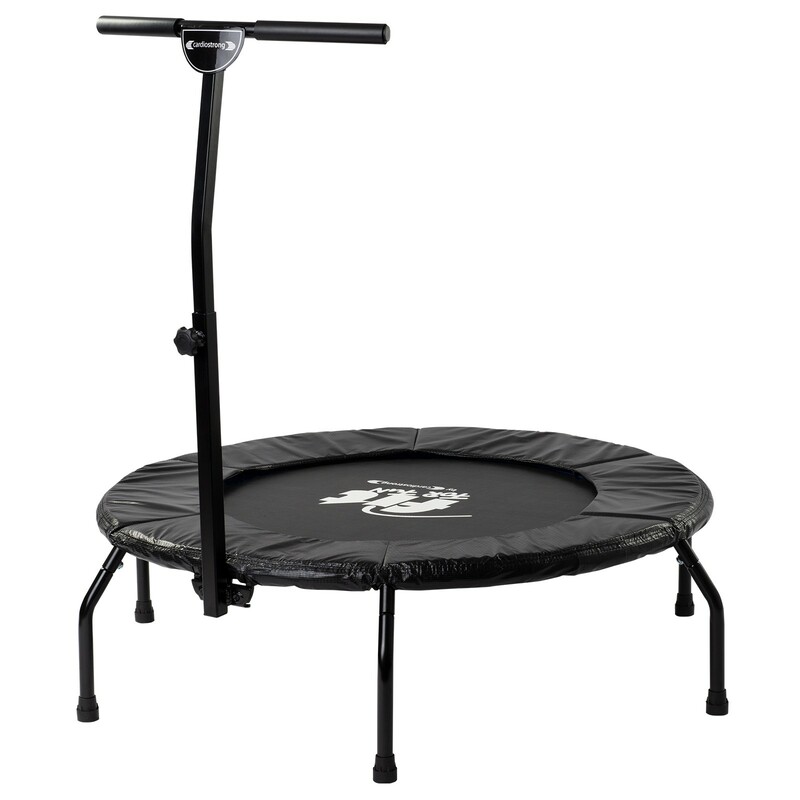 Fit For Fun Fitness Trampoline by cardiostrong add to comparison list.